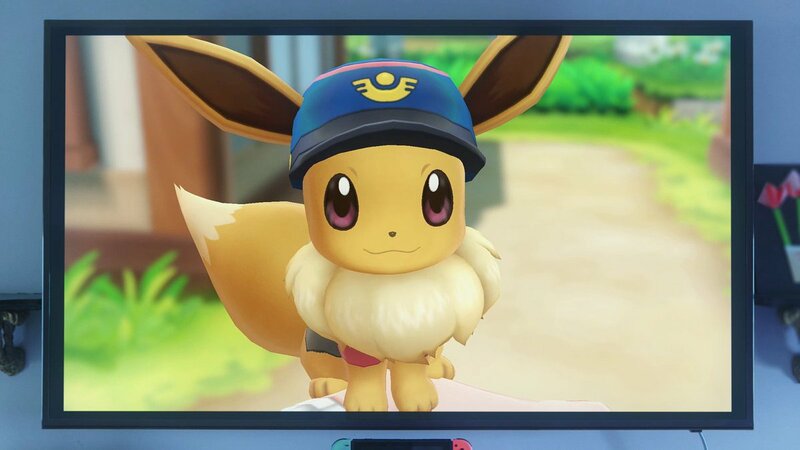 PostRe: Pokémon (Switch) - Reveal before "end of this month"
So it's Gen 1 but I can have an Eevee sat on my head the whole time? So Nintendo DID get my letter! It mentions like a "Go Park" or something, doesn't it? Hopefully they keep all the Go bull in there. Hope you don't *have* to "throw" the Pokeball if you're playing with the joycon, too. Doesn’t look like this is a game for me, and that’s fine. No proper battles, Go style catching, and arguably one of the least compelling titles (every time I try to replay these games I give up on route 9) in terms of narrative and gameplay means this probably isn’t worth splashing out on. It looks fantastic though, and riding on top of an Onix is clearly the fanservice we all need. Besides, it sounds like this isn't the "new" pokemon game tthat everyone is waiting for. This almost seems like a Pokemon go tiein. There's no wild battles either. 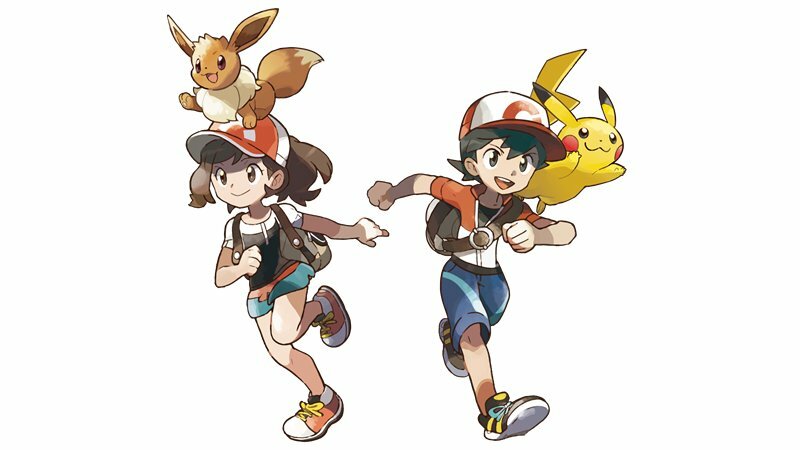 The fact we may have to wait over a year for a proper Pokemon experience IS disappointing. Urgh, that art style, what happened to the cell shading? Looks like we have to wait until next year for the true Sun & Moon successor. As someone who still plays Go everyday, I expect I'll buy this. 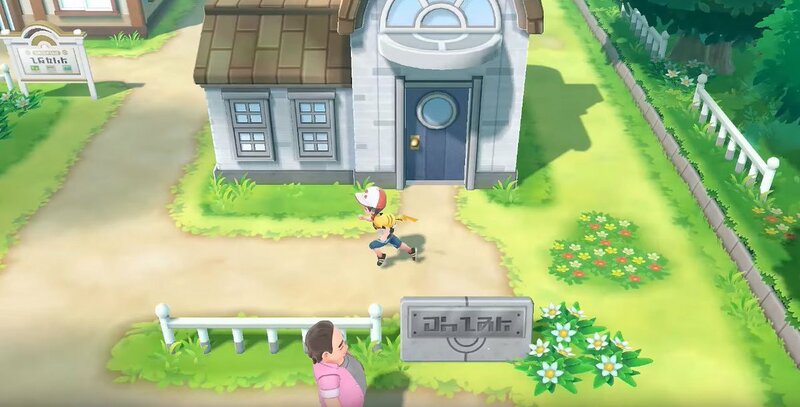 Even if it did seem too close for a mainline game, especially with paid online launching this year I did think a proper Pokemon game would launch. Now... it just feels like Nintendo are treading water with its game launches... again. Barely had a reason to turn it on. E3 needs to wow. The Pokemon Company CEO said no online features are planned for it. Qikz wrote: There's no wild battles either. Is there an official write-up to go along with this, then? You can't really extrapolate the ins and outs of the core gameplay from a trailer like that. If there's Pokemon battles I assumed there'd be training too Unsubscribe. Doesn't look too bad at all really! I'll still be buying it 100% to tide me over till the next games come out in 2019 as it does look good, just not great. Visually the game looks really nice to me but a few of the mechanics do seem a little odd. No wild Pokémon battling? So you can only level up via trainer battles which means they have to make them battle the player again and often too, to me this doesn't make a load of sense. Have they comfirmed the lack of online stuff? No trading? No battling? Again seems very odd for a Pokémon game to not have two of the main mechanics absent that have been there from the start (just not online all the time). As someone who never played Go am I going to be at a huge disadvantage or are they going to keep all that to the Go Park section of the game? 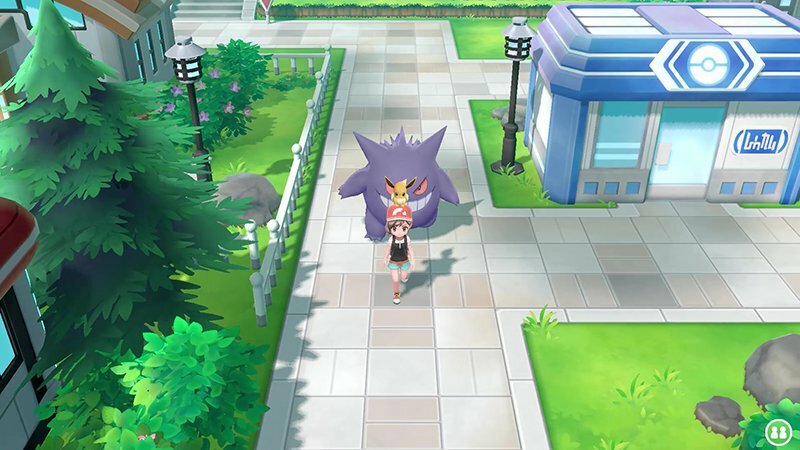 I really like the Pokémon are now in the overworld and the catching mechanic looks good (but could get boring quickly). Quite like the look of that. Looks like I'm getting a switch late this year/ early next year then. It’s a casual RPG, designed to bridge the gap between Go players, old players they lost and new younger players, and the mainline RPG series which will return next year. It’s a clever move in my opinion. They’ll make a ton of money from this (especially with that accessory) and gives them more time to nail next year’s title. Graphically looks a lot nicer than I expected too. 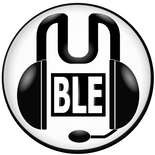 Last edited by Tomous on Wed May 30, 2018 8:12 am, edited 1 time in total. I'm not sold on the no wild battles and having to capture like Pokemon Go, but I'll still be grabbing day 1. Will wait and see if there's any further differences besides starter Pokemon. A pokemon GO game on the Switch? Veeery clever. It looks amazing for what it is, I mean, I stopped playing Pokemon Go after like a month, so I won't be getting it. On top of that, no online planned? So you show co op where you have your favourite mon are following behind each player and don't immediately think to incorporate it into some kind of MMO style game? Anyone expecting the next "Generation" title to launch this year was expecting too much. There was a three year gap between Diamond/Pearl and Black and White, then a three year gap until X/Y and then another three year gap until Sun and Moon. That's obviously the cycle they are going for, with generally the "third game" (Platinum, B2/X2 and Ultra S/M) being released one year and a remake in the other. We had Ultra Sun and Moon last year, so a remake shouldn't really have surprised anyone. If a three year cycle between mainline games is the norm, then they were never going to get it down to to two when they are also developing it on a brand new system (and on a home console for the first time at that) as well as presumably a brand new engine. I'm surprised people are a little disappointed in this, as it looks better than I thought it would. The graphics are quite pleasing, albeit nothing mind-blowing, and it'll help introduce younger players to the Switch. 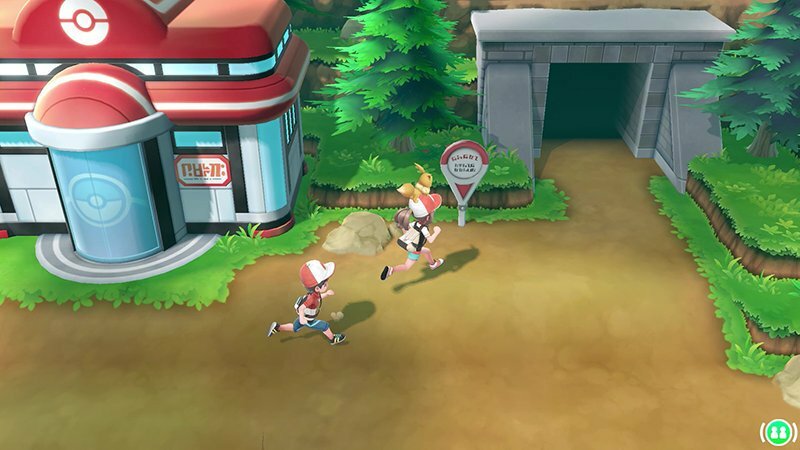 Whilst catching is simplified, the battle system in the trailer seems to be the classic model. It's enough to tide things over until 2019 in my eyes. We weren't really going to get anything more than this, unless they remade Diamond/Pearl for the 3DS or something, which everyone would have moaned about.